Please note: All merchandise will be shipped to the package purchaser’s home. Your set list will arrive via email from CID within one week of the show. 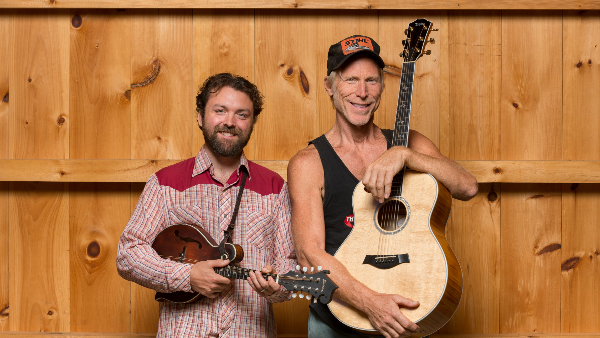 Two of Vermont’s favorite sons—Rusty DeWees and Patrick Ross—join forces for an evening of gut-bustin’ comedy, foot-stompin’ music…and just a touch of cussin’!